Three month drought slump drump, forget that. 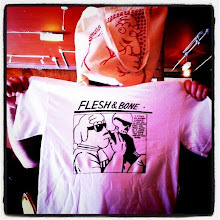 We're back on the track, Flesh and Bone two times a week from this day forth - MONDAYS and THURSDAYS. Check back for regulars. Click the strip to see it bigger, as evers.